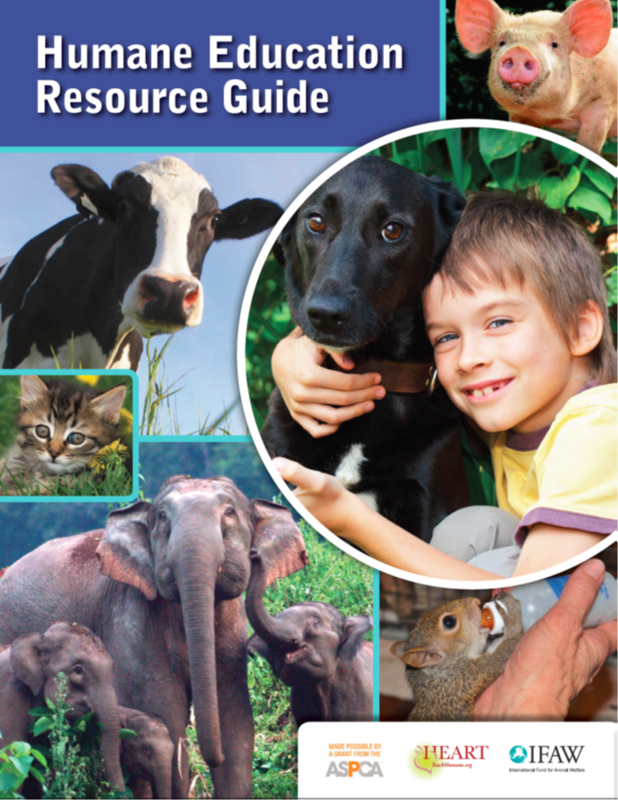 Check out our resource guides that teach students to be caring and compassionate toward people, animals, and our planet. Each guide contains lessons and activities with all student materials included and ready to use. Many of our lessons are also available on Nearpod as digital interactive lessons. The elementary-level guide contains lessons for students in grades K-5. All lessons are aligned to Common Core Standards as well as ISTE technology integration standards. View the Table of Contents. 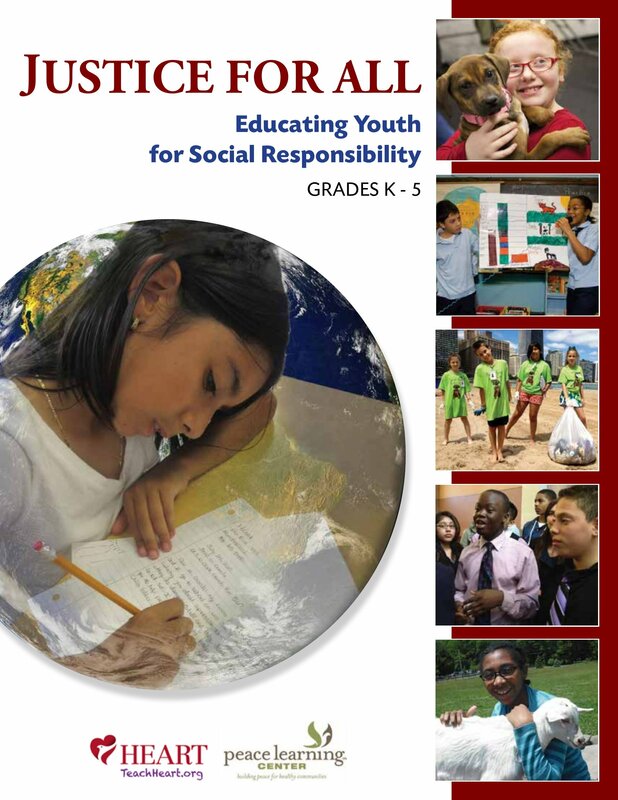 HEART and the Peace Learning Center have partnered to create these resource guides to help educate youth for social responsibility. 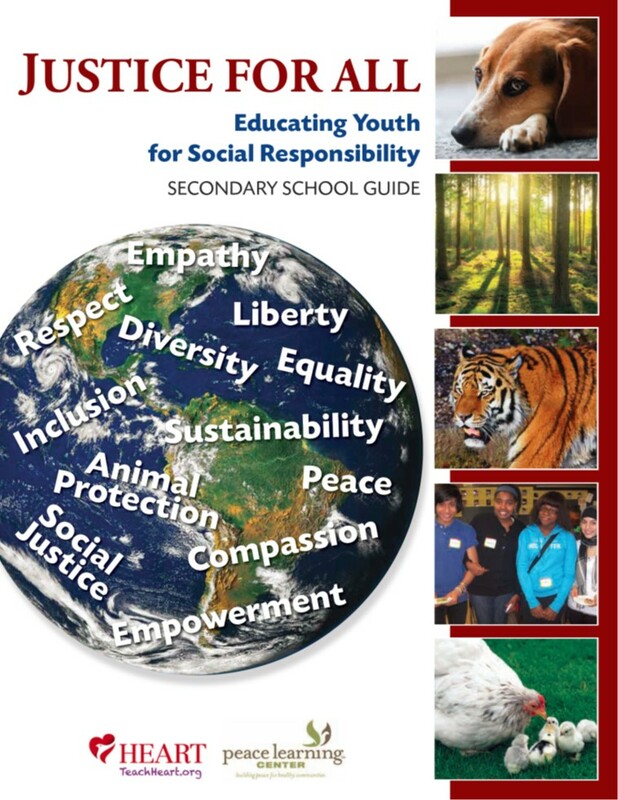 Humane education addresses social justice, animal protection, environmental ethics, and the ways in which these areas are interconnected. By allowing students to learn crucial information and develop solutions for many of the modern issues facing our world, humane education promises to usher in a global community that is prepared to make the planet a more peaceful and sustainable place. This animal-themed resource guide contains lessons for students in grades K-12 (each lesson is aligned to the Common Core Standards), as well as activities that can be conducted both in school settings and informal venues like community centers, libraries, or camps. View the Table of Contents. We all know that children love animals, and that teaching kids about animal-related issues can be a great way to develop more caring and compassionate students. That’s why HEART, in collaboration with the ASPCA and IFAW, created this resource guide filled with 40 lessons and activities on issues like companion animal overpopulation, urban wildlife, endangered species, animal emotions, factory farming, and animal testing.